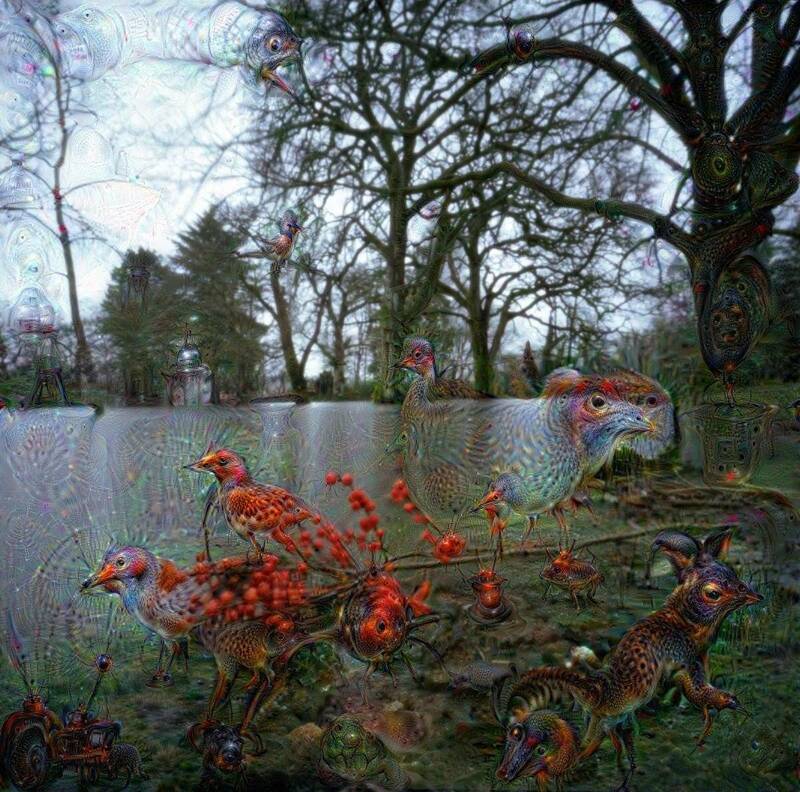 Google has a very interesting project called Deep Dream, a sophisticated neural AI (artificial intelligence) program that looks for buildings, cars, dogs, birds, what-have-you in images. We can instantly process and recognize a dog or cat or bird without having them sprout all over our field of view, but pattern matching is difficult for computers. All I can say is the results are hallucinogenic and somewhat disturbing but at the same time, fascinating. After Google Deep Dream processing. Wow. I never saw these when I took the picture. Maybe I need new Google Glasses.